Well, I think it is finally done. I hope. Maybe. The saga of a month’s duration in my quest to receive one of the new Good to Go passes so my motorcycle can use the new toll HOV lanes is done. HOV lanes came into being in the early 1980’s. A bit after that President Reagan signed a bill making it legal for motorcyclists to use HOV lanes. This was a rider on another bill, and there is doubt that President Reagan actually knew he was signing it. At the time I was commuting frequently from Bothell to Pioneer Square for my part-time gig as a guide for Seattle’s Underground Tour. I read that this had occurred, but I was worried because the signs along the freeway made no mention of motorcycles. As I streamed by the long lines of stalled cages on the way to the Evergreen Bridge I was worried that some harassed driver would either dart into my lane to kill me or take some other act of traffic jam rage. I actually called the Washington DOT to inquire, and was told that yes, motorcycles were free to use the HOV lanes, and signs would go up eventually to make this common knowledge. All was fine for many years, and then things got complicated. New toll lanes were installed south from Renton to Kent, and a pass was required for use of the Evergreen Bridge and the Tacoma narrows bridge. Motorcyclists made complaints about this at the time (including me) with letters pointing out that motorcycles use less fuel (partially true) and are more efficient and cause virtually no wear and tear to the road surface (both completely true) and therefore should not have to pay tolls. I received the most honest answer from a public official ever. In her letter she agreed with every point I had made and admitted, with bald faced open honesty, that they really did not care. All they cared about was the money needed for the new toll bridge. At least she was clear. After using the Evergreen Bridge one, in my car, I had to pay for it twice and pay a fine. I paid the bill, and received a notice that payment had not been made. I sent back the # and date of the check, and got a second bill. With a sigh, I paid that, and then was sent a penalty notice demanding more money! I resolved never to use that bridge again, nor have I. Recently came news that new toll lanes would run up I-405, and since I use that road all the time I was very concerned. After a lot of legal yammering, DOT decided that motorcycles could get a toll pass for the headlight that would allow free passage on the I-405 route and the one south to Kent, but not the Tacoma or Evergreen Bridges. And then it got confusing. I sent away for the pass and the documentation. When the pass came, I read the enclosed information several times, and it was not clear at all. For one thing, the documentation indicated you must open a $30 account, even though you would never be charged. On the DOT web site, it said you could have the pass without opening an account. A posting on Facebook revealed that many of my friends thought they knew what was what, and most of them were incorrect. Another e-mail to WA DOT brought the news, in a few days, that the $30 was not required. All I had to do was register with the pass #. Nowhere in the documentation or in the installation instructions does it list where the pass # is located! How can you do that? Another e-mail, and the wait of a further week, and finally the secret code was cracked. The account # was on the same clear tear off sheet as was the pass itself, but nowhere in the documents or on the sheet is there any indication that this random assortment of numbers means anything. In my younger and less cynical days I would have tossed the rest of the clear sheet, but fortunately age does bring come caution. Now I have sent them what I believe to be the pass #, and I should be set. And who is to blame for this litany of bureaucratic blunders? (I left out several e-mails and inquiries for the sake of brevity). Many years ago I worked with a sales manager who liked to have weekly lunches for the managers where we would dine and listen to a series of business-centric talks he had purchased on CDs. All of them were interesting, but one of them really hit home. I do not remember the speaker or the exact details, but the gist of it dealt with planning. You were advised to place the tasks ahead into one of four quadrants. One was for tasks critical in nature and time sensitive. A second was for tasks not critical and not time sensitive. Then there was the quadrant for critical but not time sensitive, and finally, time sensitive and not critical. By using this system, you wanted to avoid the dreaded Quadrant #4, where you were rushed to deal with tasks that were both critical and time sensitive. When you are running out of time to accomplish a critical task, errors rise up like worms in the garden after a fresh rain. I had experienced this myself. I was often asked to prepare written ad copy, marketing materials, or correspondence with motorcycle OEMs. Some of it was critical in terms of the importance of the message, the power or the recipient, and the negative results of a sloppy statement. I tried to explain to the sales manager that what I did was not like grinding hamburger. The more advance notice and information I was given, the better would be the final product. I don’t recall that anything ever got better in that regard, but no matter. I could use the system to try and ensure that I always had some time in hand for critical and time sensitive tasks, even though I did not know what they would be. And that is where the problem is with the DOT. Two decades ago the electorate got it into their pretty little heads that it would be a good idea to cut taxes – everywhere. It would also make sense to cripple the administrative system that created the tax rates. Tim Eyman is only the tip of this iceberg that has ripped the guts out of government fiscal management. At the same time that this was going on, and continues, the electorate did not reduce their demands on government for services. The results have been predictable. Caught between the rock of public demands, the restrictions on tax income, and their own spineless nature, politicians have had to get “creative,” with all sorts of new tax plans. Most of them are not completely thought out and often create legal and operational snafus that would be comic if not for their consequences. So here you have the DOT – strapped for cash and with crumbling infrastructure all around them. They have tried to tax everyone everywhere in any possible way. Does it make sense to tie the maintenance of state parks to your license fee, when you go to a state park to get away from all the vehicles? That one is voluntary, and I pay it every year, even while grinding my teeth at the illogicality of it all. When you get to the state park, you will need to pay an additional fee, no matter how long you got there or the intended duration of your stay. 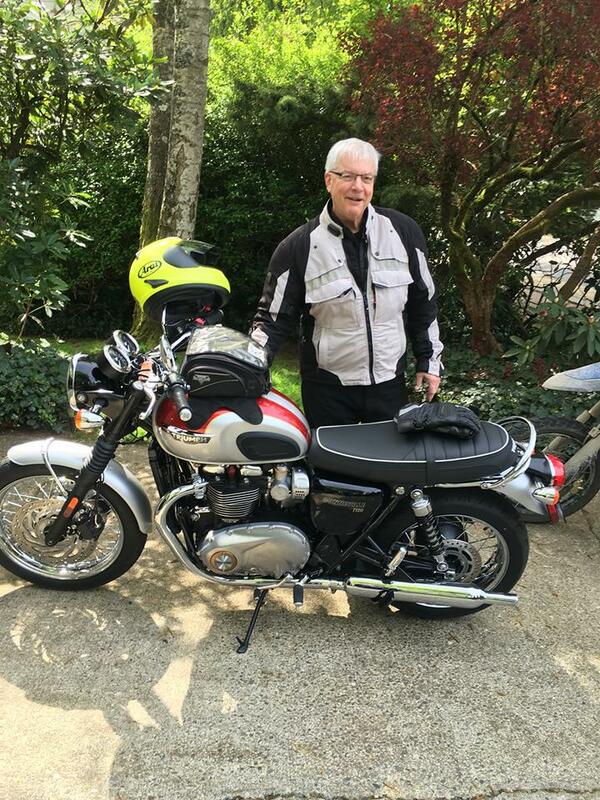 With the motorcycle passes, the DOT is attempting to raise funds while dealing with the results of court cases, and the result is the tangled mess of a motorcycle good to go pass system that is riddled with functional and administrative errors. They have not been given the time or the staff to do this in a sensible and carefully planned manner. Also, it seems that virtually none of them have any knowledge of motorcycles. The result is mass confusion among motorcyclists, and the same for other groups in similar situations. Confusion added to demands for money creates – rage. Is the resultant anger by the electorate, entirely self-induced, the reason why people are apparently willing, in very large numbers, to abandon all sanity and support a howling buffoon like Donald Trump? None of the experts seem to be able to figure out his appeal, so perhaps I have done so here. This entry was posted in Cars, Marketing, Motorcycles, Rants and Raves, Travel. Bookmark the permalink.